When I caught wind of Rick Riordan planning a return to Camp Half-Blood and rumors of some Percy Jackson appearances, I was over the MOON. (I love Percy so much). But after reading The Hidden Oracle (book one Trials of Apollo) I wasn’t sure it was worth going on a five book journey with Apollo’s narcissistic and self-centered voice. 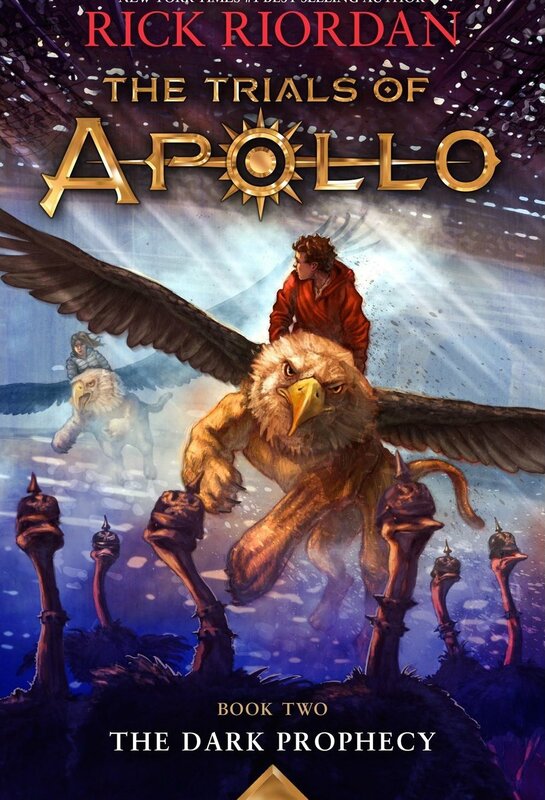 If you’re unfamiliar with The Trials of Apollo series, the second book The Dark Prophecy came out earlier this month and follow Lord Apollo, turned mortal as punishment by Zeus. Apollo, going by mortal name Lester, must find five of the darkened Oracles in order to regain his godhood and return to Olympus. I picked up Dark Prophecy with the idea that it would make or break a decision to follow through with the series or quit. And I don’t know if I was just in a weird mood when I read The Hidden Oracle, or if I was in a weird mood reading The Dark Prophecy… but I loved Apollo’s voice. haha. Apollo is completely self-centered and has no interest in being a hero, and the truth is, it was kind of refreshing to read from that POV. Not to mention it made me laugh out loud several times. For those who are looking specifically for books with LGBTQ representation, I would say that this is Rick’s biggest contribution so far. He has had LGBTQ characters in the past, but there was a much stronger emphasis on LGBTQ relationships in Dark Prophecy—not only with Apollo who is bisexual, but other characters as well. These are middle grade, but I do love reading them still. Apollo is hilarious, and Rick Riordan’s stories are books I would pass on to anyone who loves Greek mythology and likes a lot of humor in their reading.